Participants will have the confidence and competence to direct their children and teens to pursue a healthy sexual future that glorifies God! to raise the bar of sexual self-control in teenagers they influence. What can you expect in this Biblically based presentation suitable for the secular world? What’s Happened Over the Last 60 Years to Put Us In This Mess? Who Should Your Child Date? Who Should Your Child Marry Someday? How Does Your Teen Spell Love? How Does Your Teen Feel Loved? I love speaking with Parents and Teens! Contact me. 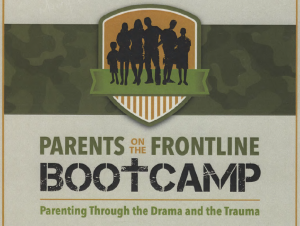 This “Parents on the Frontline” I attended last weekend hit my WOW factor sensor! Healthy dating tips, knowledge about sexting, how to talk to our teenagers about what God’s plan is for them with their IDENTITY in Christ.